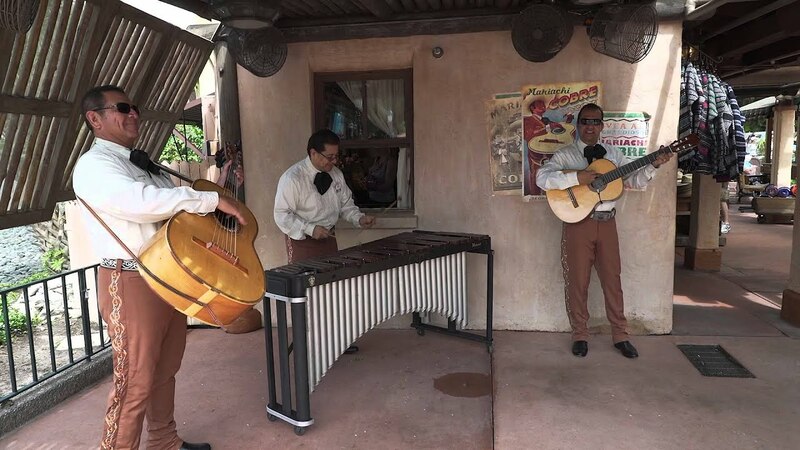 Apr 22, 2015 in "Mexican Marimba Trio"
Epcot's Mexico Pavilion now has live entertainment 7 days a week with the introduction of the new Mexican Marimba Trio. Centered around the marimba, the musical styles are from Mexico and throughout Latin America. And just like Mariachi Cobre, they sound fantastic! The trio performs Monday and Tuesday, with 25 minute shows at 11:30am, 12:15pm, 1pm, 1:45pm, 2:30pm, 4:15pm, and 5pm. Mariachi Cobre continues to perform 5 days a week, from Wednesday through to Sunday. Check out the video below for a look at the show. More from "Mexican Marimba Trio"